If you find it hard to keep your home comfortable and warm during the winter, your heating system may not be to blame. Instead, the problem could be due to outdated or inefficient windows. Fortunately, you don’t have to wait until spring to schedule a window replacement to fix the issue. Here’s what to know about this valuable home upgrade. What Are Signs I Should Replace My Windows? 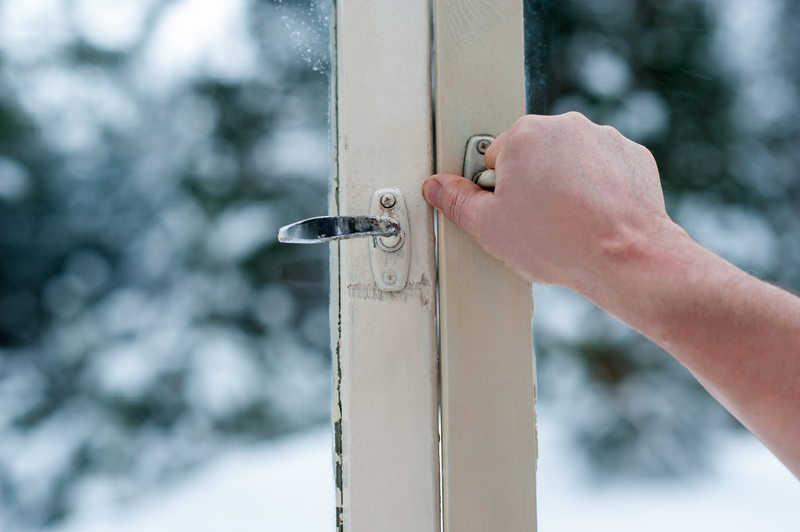 When properly sealed and insulated, modern windows can help prevent chilly winter weather from creeping inside. If you feel drafty spots of cold air near the windows, a replacement may be the best way to permanently resolve the problem. You should also consider upgrading if condensation builds up inside the glass panes or if moisture is leaking inside, as these are both signs that the windows are improperly installed or damaged. If you have an efficient heating system, unexpected increases in energy bills are likely due to some form of heat loss. In some cases, the problem is due to poor insulation or roof damage. However, many often find that the hot air is escaping through older or inefficient windows. To fix the problem, and save money in the long run, update your current windows to those insulated for energy-efficiency. On average, window systems will last reliably for up to 15 years. After this point, they tend to become hard to open and are more susceptible to heat loss and damage. Why Is Winter a Good Time for a Window Replacement? Homeowners will often avoid scheduling window replacements during the winter out of fear that inclement weather may affect installation. However, this is actually an ideal time to make the improvement. If the project is completed during warmer months, specialists aren’t able to see how the new windows can handle the cold. But during the winter, when cold air is present, installation crews make sure that the frames and glass are secure and properly sealed. This season also tends to be slower for glass replacement companies, allowing you more flexibility when you schedule an installation. Some companies may also offer deals or discounts on products to make space in their inventory for the spring. When you’re looking for energy-efficient and stylish windows to get your home winter-ready, turn to the trusted specialists at Monsey Glass. Serving Rockland, Westchester, North Bergen, and Orange counties since 1969, this custom glass company is known for making the residential window replacement process as simple as possible. Focused on customer satisfaction, this team will introduce you to a variety of options—including custom products—that fit your exact needs and preferences. Visit this provider online to learn more about their services or call their Spring Valley, NY, store at (845) 352-2200 to request an estimate. To read testimonials or submit your own, check out their Facebook profile.